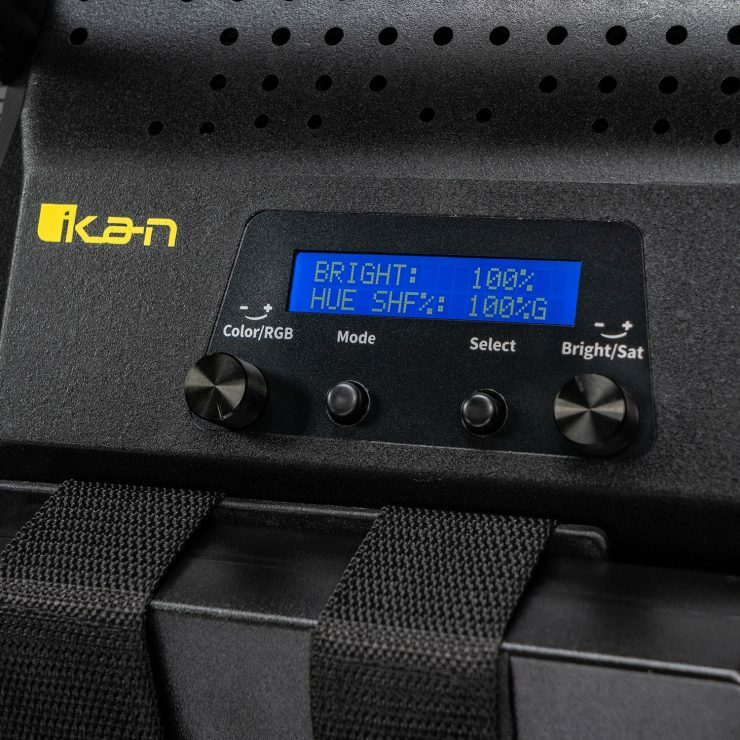 The Ikan Onyx Digital Color LED 1 X 2 Soft Light is an RGBWA panel that has five color modes. The RGBWA Mode allows you to control Red, Green, Blue, LEDs independently. This allows the user to create a vast amount of colors. 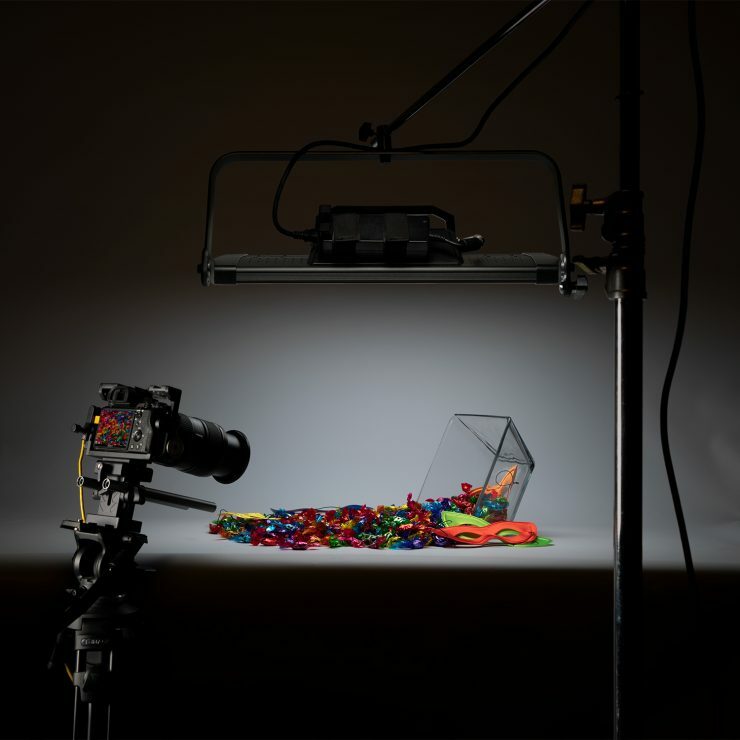 According to Ikan, the amber and white LED’s allow for a more accurate color temperature when reproducing daylight or tungsten lighting. RGBAW technology is also used in other lights such as the Luxli Timapni 1×1. 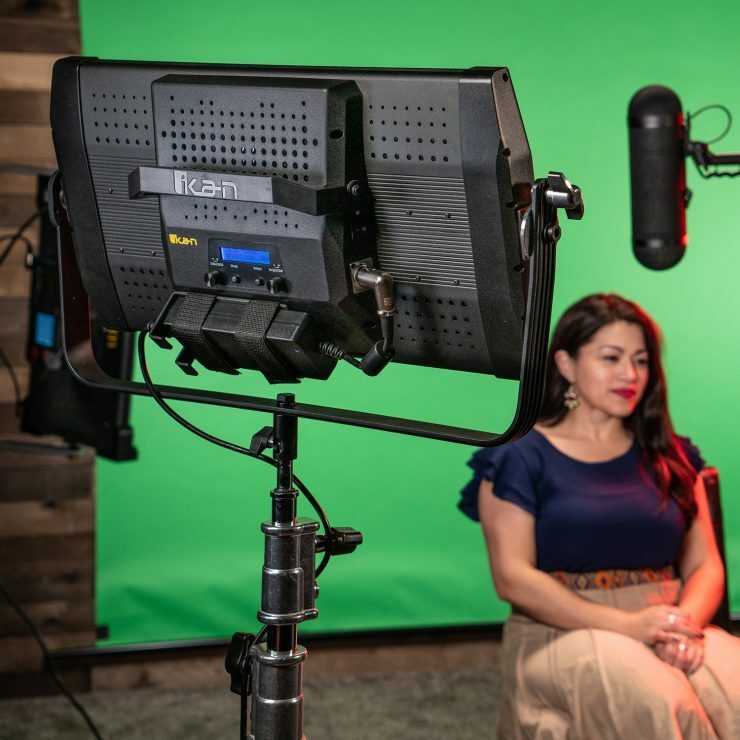 The CCT Mode offers Kelvin color temperature control from 2800K to 10,000K. The Magenta/Green hue shift gives the user better matching control when using this light with other LED fixtures. The light also has Saturation Control that allows the light to add white light to soften the color and desaturate the color to the desired level. Ikan claims the ONYX Digital Color LED 1 X 2 Soft Light has aCRI/TLCI rating of 95. 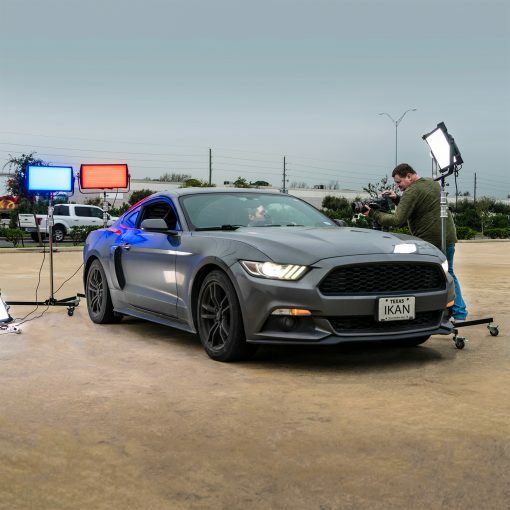 The Onyx digital color light has 33 different gels to choose from and 8 different built-in special effects. The fixture features a lightweight aluminum construction and it weighs in at 4.98kg (11lb). It has physical dimensions of 27″ x 18″ x 7″. 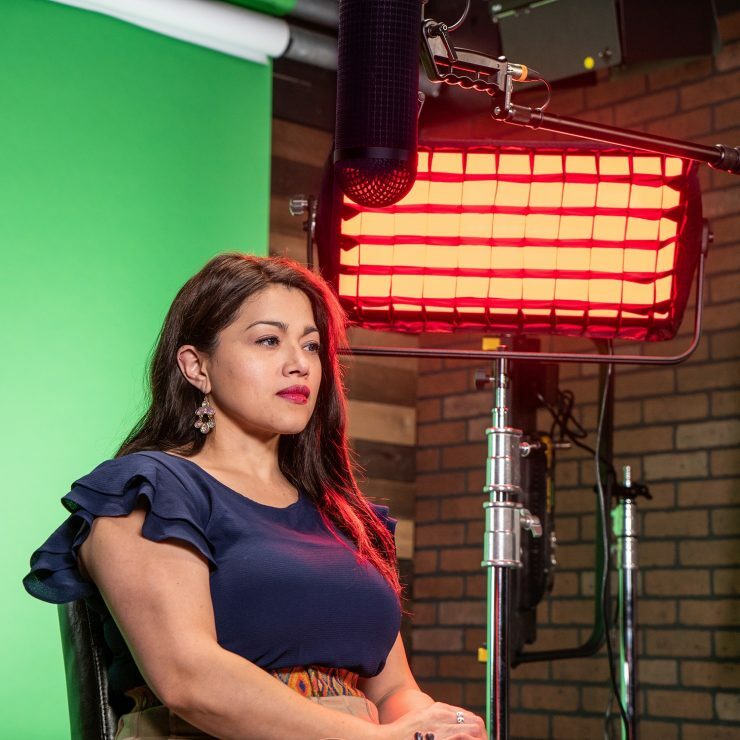 The light has a rather wide 120-degree beam angle so you would need to use an egg crate or something similar to avoid light spill in situations such as interviews. 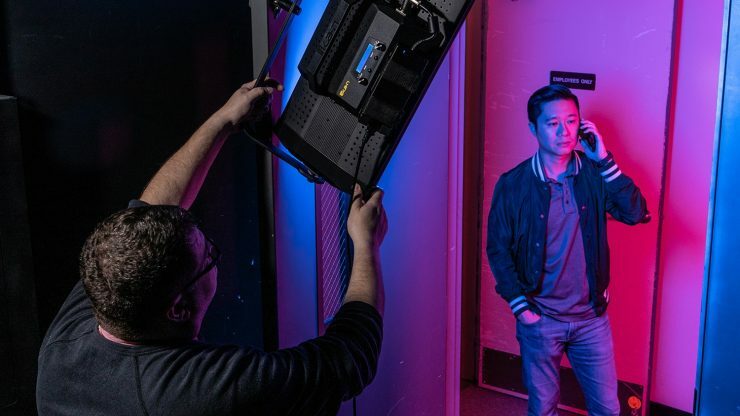 The ONYX Digital Color LED 1 X 2 Soft Light draws a maximum of 150W, but strangely it doesn’t look like Ikan sells any sort of battery plate for the light. These figures are very low for a 2×1 sized LED panel. 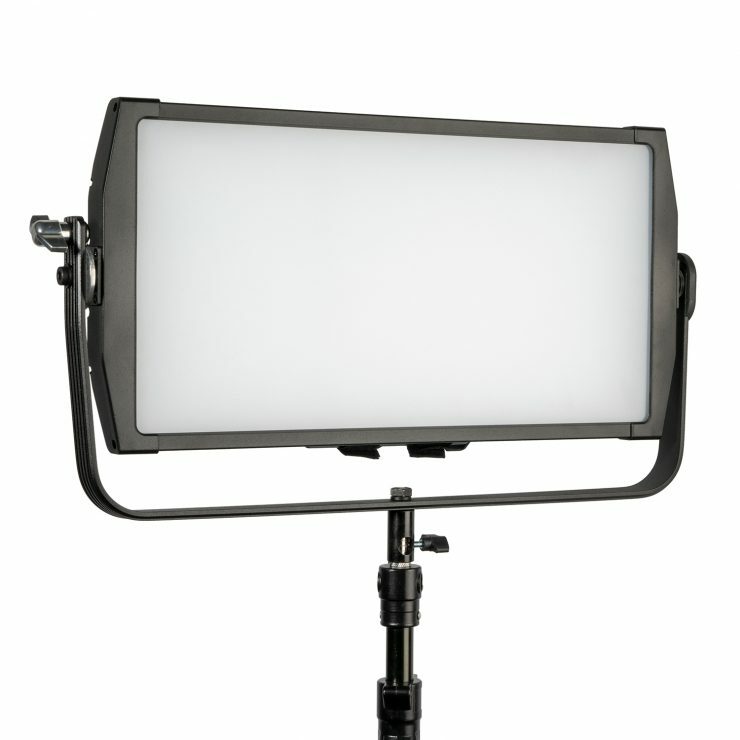 The ONYX Digital Color LED 1 X 2 Soft Light is now available for $979.99 USD.